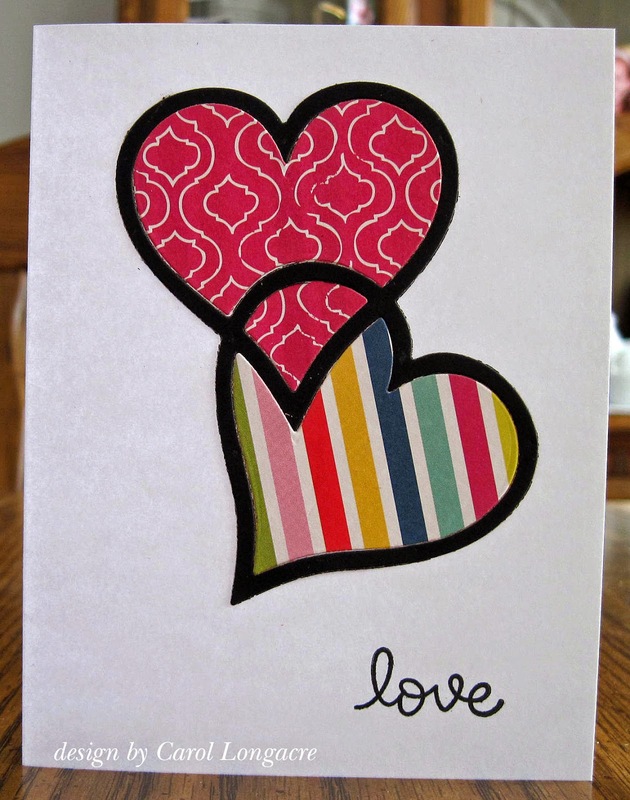 Today I have some CAS cards made with a NBUS Nellie Snellen filling "hearts" die I found at my LSS a few days ago! I didn't even know Nellie Snellen made dies, because this was the first one I've seen, but the price was very reasonable and I love the great use of snippets for these hearts! 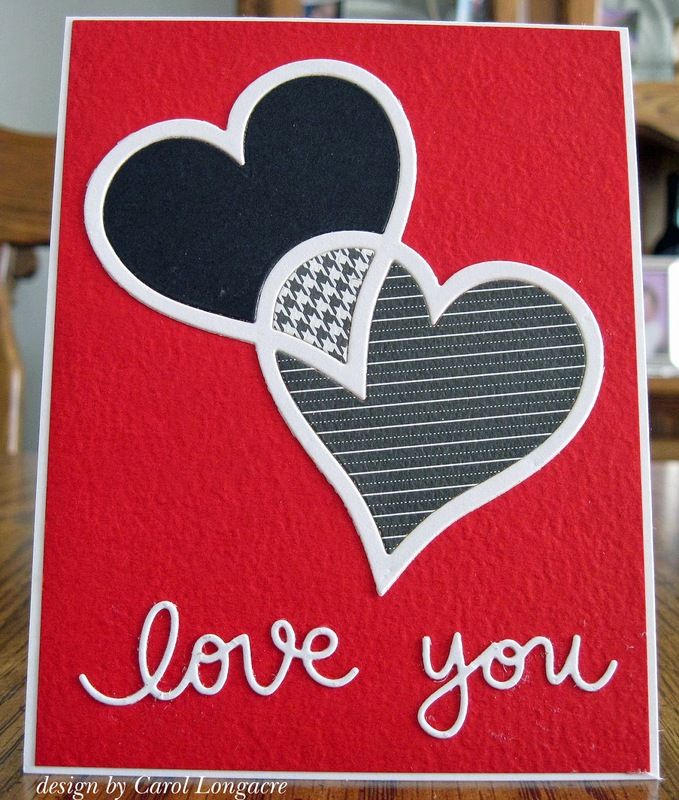 I die cut the hearts in black, along with 2 different AC SoHo Gardens dsp's, and stamped a Lawn Fawn sentiment and this card was done! I'll be sharing these over at the Snippets Playground #167. Thanks for checking in today and I wish you a wonderful Friday the 13th :) May nothing but good luck rain down on you!! Wow, nice find with those dies. They make for very nice CAS cards. Have a great day. Oh no.... these are terrible. I mean because now I don't know how I will live one more second without this die (but never fear live I will). 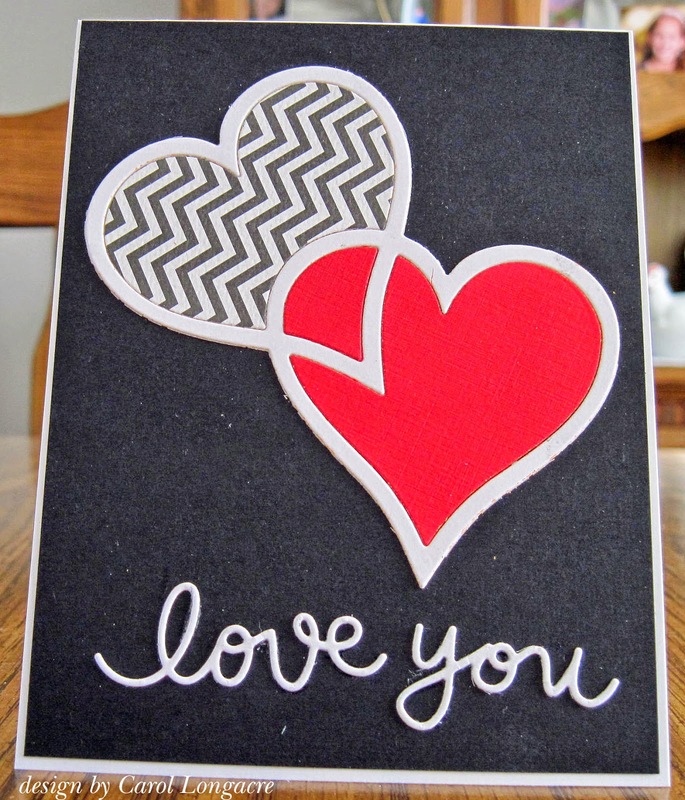 I sat around admiring the top card with its bright colors and happy patterns, then I scrolled down and saw the red, gray, and black one and had to SQUEE! all over again. Then I scrolled down further and there was a whole 'nuther BW & gray one. A three for one post! Woo hoo! And it's Friday! Another brilliant idea and three stunning realizations... You are a volcane! :D Love all them, but the first one, so colourful, gives me a feel of happy, I just LOVE it! Great set of cards,I love how you've used your new die, and the different looks you achieved by using different papers and colour combos. Lovely cards Carol. But does your husband know you have a few boyfriends? Wow Carol! These are great. I love the use of the die cuts. Great variation in color choices. They will make someone feel loved for sure. Beautiful cards Carol. and such a fabulous die (set?) you used. I did know that Nellie Snellon makes embossing folders but dies are a new one to me as well. Love all 3, Carol, but you are right... I think #3 is a winner with that tiny peek of houndstooth on the heart tip. Beautiful cards you made with those dies, Carol. Of course, I am partial to the bit of houndstooth....love it. You used super dsp for all of them. Fabulous cards Carol, it's nice to see all of the different colours. Oh I LOVE these! What a fun die!